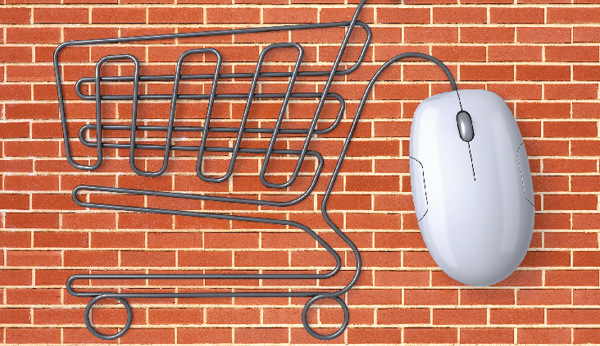 By now, e-commerce is already an integral component of the consumer economy. While e-commerce is already an accepted means for shopping and conducting business, some people still are uncertain of the legitimacy of running a successful online businesses as a realistic alternative to a brick and mortar establishment. Up until a decade ago, brick and mortar stores were the only form of business and that it was the pure, real form of business. Digital and virtual stores were only for those who couldn’t hack it. Today, the message is vastly different. Clicks and cash have virtually replaced the brick and mortars. As the e-commerce industry continues to take its toll on the classic store front model, the simplicity of setting up a digital storefront offers many attractive opportunities. From great scalability and relatively low customer reach and overhead (in comparison to traditional stores), e-commerce is definitely taking a large chunk out of the brick and mortar business. At the same time, starting a traditional retail store can be done while avoiding, or eliminating, many of the costs associated to starting up an e-commerce business. In 2007, online retail stores reached $175 billion and are projected to grow to $370 billion by 2017. Every day, the increased number of storefront business acquired impacts the long-term viability of this ‘classic’ model of commerce. From Office Depot, Barnes and Noble, and Sears all planning to close stores in 2015, consumers have spoken- online is king! With the new reality, many classic brick and mortar establishments are taking a proactive approach to the shift in commerce by creating a digital storefront. Interestingly, while digital is clearly reshaping every industry, a unique trend is emerging in the digital retail sector: after establishing a strong consumer base online, many online stores are reverting back to building a full-fledged brick-and-mortar store. Look at Amazon and Google who have retail stores. Why would successful e-commerce businesses, that changed the way consumers shop, revert back to a storefront? At the end of the day, it’s all about the customer experience. Here’s a nice infographic explaining the trends on the e-commerce industry and what to expect in the future.